Our first CSA started with a small group of nine people in 1996 at Sixth Street Community Center in the lower east side of Manhattan. 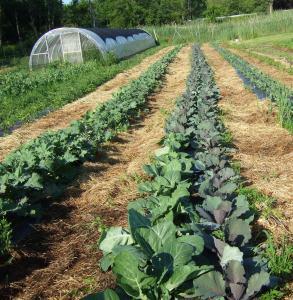 Since that time our Community Supported Farm groups have grown with delivery sites in Hoboken, Jersey City, Mahwah and we offer on-farm pick-up in Wantage New Jersey. We also grow heirloom transplants for sales to local supermarkets and by contract with other farmers. Each week during the harvest season, Catalpa Ridge Farm harvests fresh, quality locally grown produce for its member shareholders. The harvest season starts in June and continues for 20-22 weeks, ending usually the last week of October or the first week of November, depending on how cooperative the weather is. The CSF members meet at established locations to pick-up their delivery of the fresh, locally grown produce. A newsletter is posted on our blog and also e-mailed to members on a weekly basis. This includes the picks of the week, recipes that relate to the picks and what has been happening at the farm over the last week. We use the newsletter as our main communication tool with our members. It has been critical to maintain recipes that coordinate with our picks-of-the-week. Members love knowing what they can make with their weekly harvests. We also have a website that members can access to see what’s new, current photos, happenings, planting schedules, etc. The website address is www.jerseygrown.com. Because of our way of CSF marketing, we have great leeway in trying new and interesting varieties of vegetables. Sometimes the members like them and sometimes they don’t. 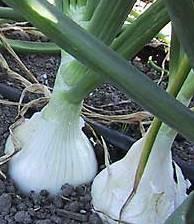 One of the keys to trying new varieties is the recipe page in our weekly newsletter. By having this leeway the CSF members get to try new and exciting veggies that they would normally not buy at the market.